Indulge your inner Magi, learn the secrets of the ancients and lose yourself in the magical world of gargoyles, fairy queens and wizards. 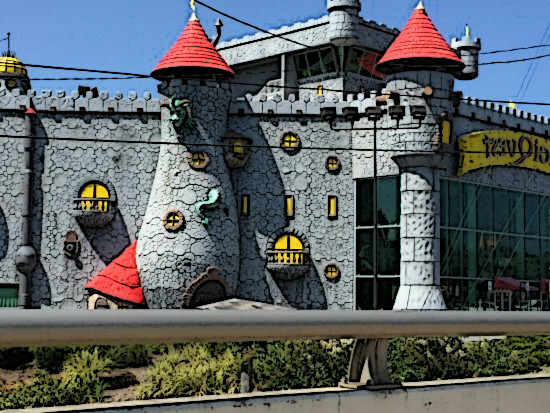 The MagiQuest castle situated in Pigeon Forge in the Smoky Mountains of Tennessee offers just such an indulgence. A place where the mere wave of a wand will not only open chests of gold and precious gems, but will also reveal valuable clues needed to help the budding magician on his or her quest for the knowledge of how to defeat the magical dragon. Hidden within the walls, pictures and rhymes found in the most unusual places are the necessary clues and directions needed to complete the various quests. If the magi in training is in need of assistance a simple wave of the wand over the mysterious portals, located throughout the medieval village summons mystical creatures to offer advice and keep track of the magi’s score. Anyone from the ages of 7 to 70 who are intrigued by puzzle solving and have even a smidgen of imagination will enjoy losing themselves in the MagiQuest castle of mystery and intrigue. The MagiQuest castle provides a wonderful bonding opportunity for parents and their children; as they work through the clues and discover surprises together. Parents are advised to purchase a wand of their own as the need to take charge of the quest and wand can be overpowering. This writer had to keep reminding herself that she is only there in an advisory capacity. A word of caution, this writer found that this game can be addictive and the disappointment of having time run out on a quest can cause the need to begin again. Another plus for the MagiQuest castle is the fact that even if one does not complete the game in the first visit, the magical wand keeps all the Magi’s information and one can return anytime within the following twelve months to complete the game. Naturally one will have to purchase the necessary tickets, but there is no need to begin the whole game again or purchase a new wand. Simply carry on from where one has left off.